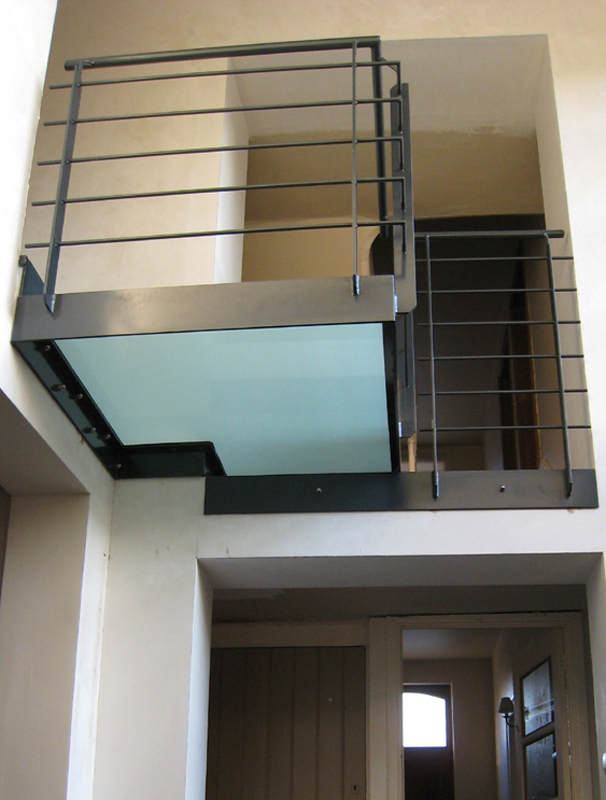 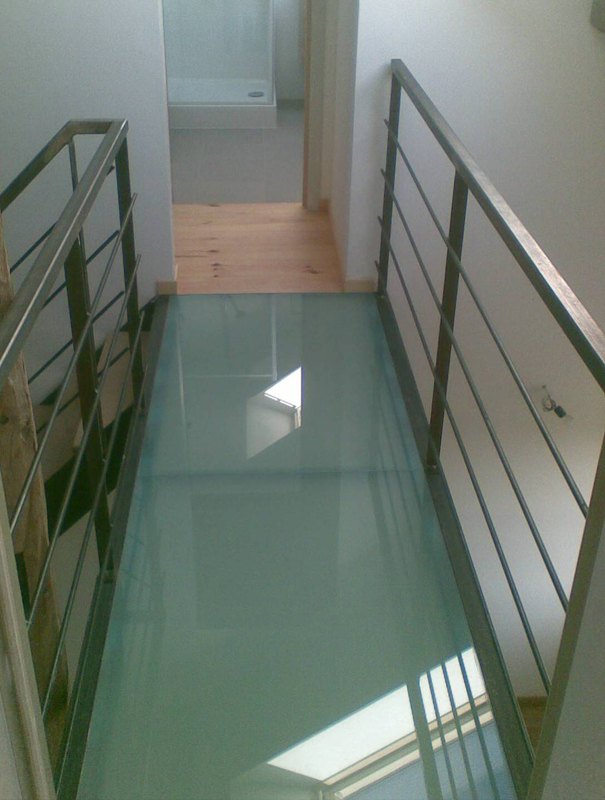 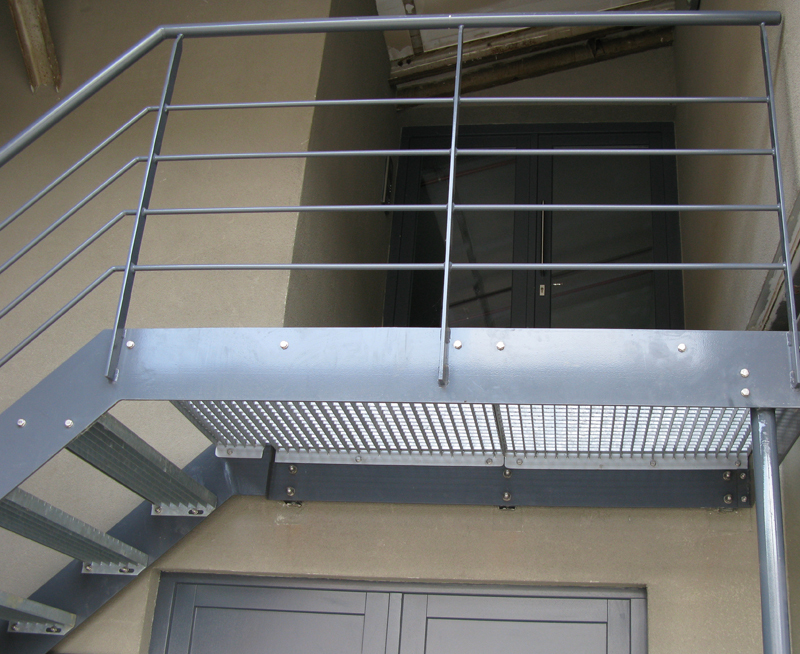 Our metal terraces are designed as an outside extension of your staircase. 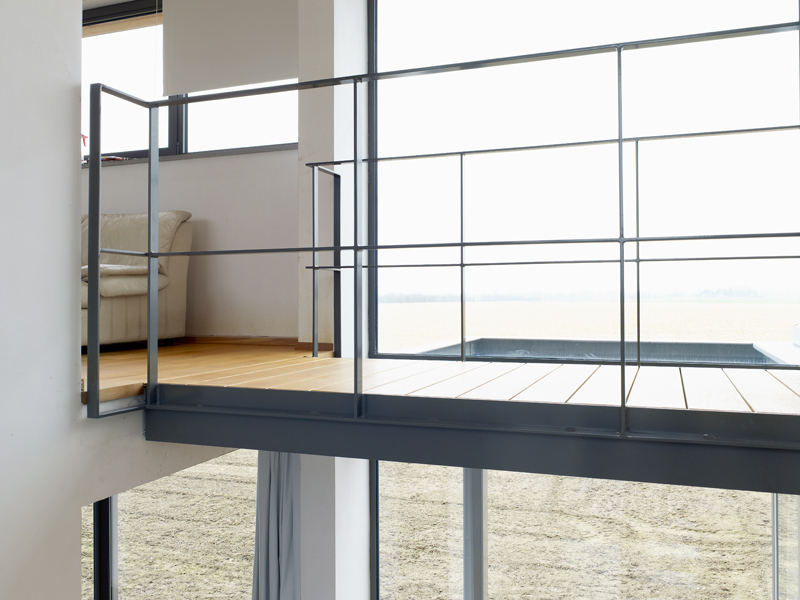 Elegance : They combine the softness of light aesthetics with the robustness of a steel structure to provide you with a whole new living space. 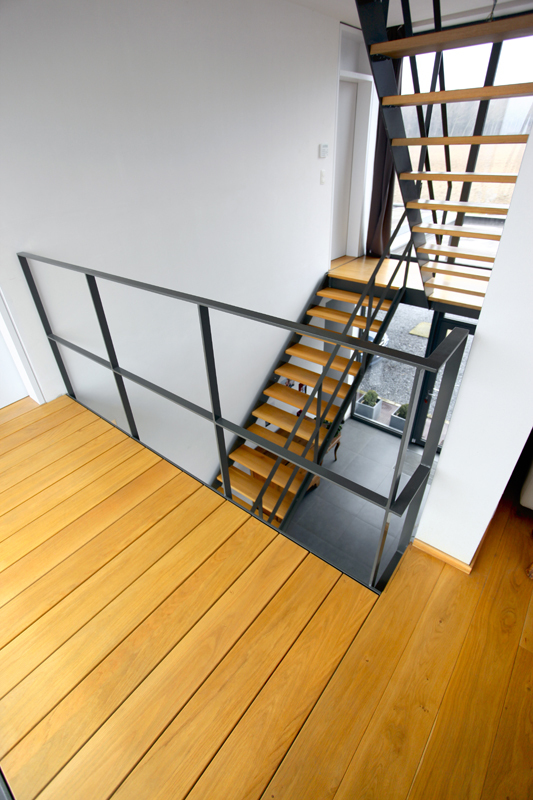 Creativity : Our terraces are completely custom-made in all forms and types of wood, glass, steel, aluminum and floor gratings. 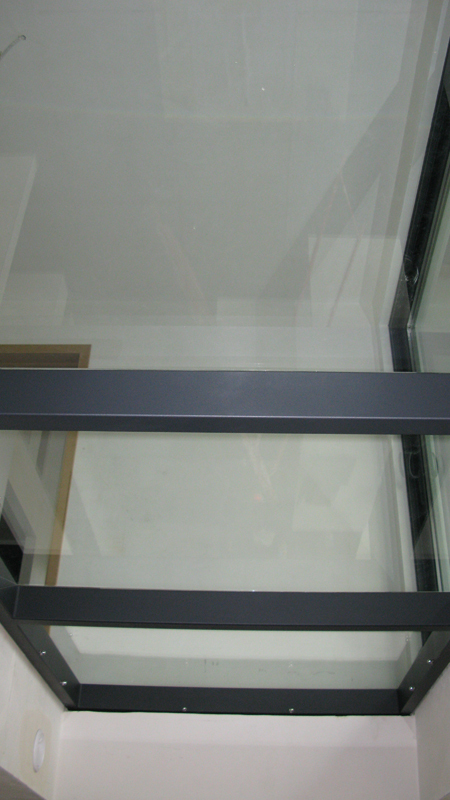 Space : You will enjoy ample room below thanks to the limited number of pillars that we use. 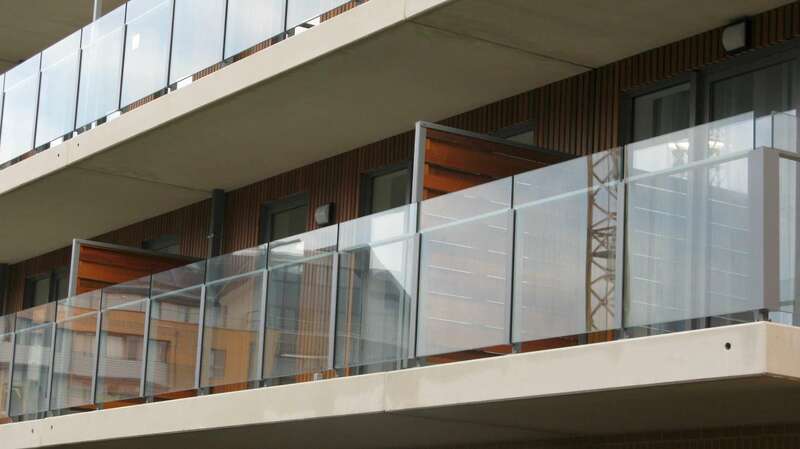 Security : Metallic suspended terraces are entirely secured by solid balustrades. 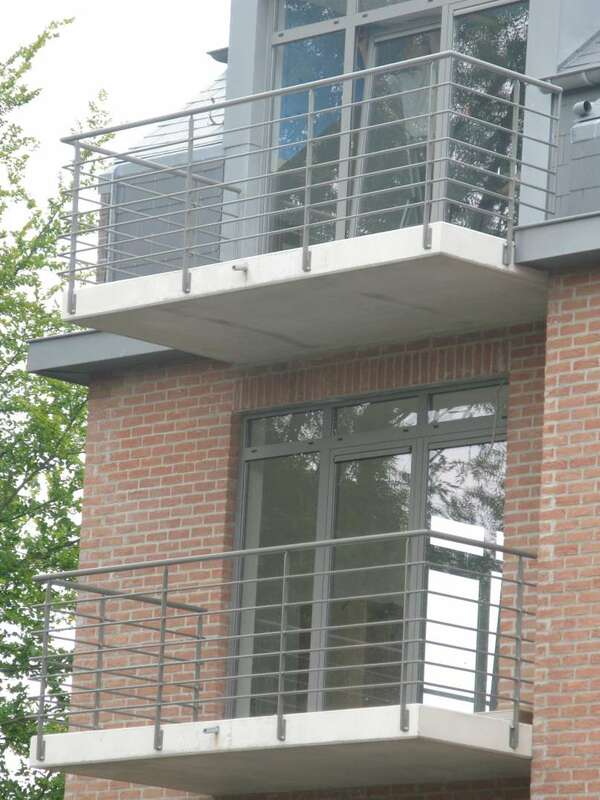 Solidity : They are resistant to a changeable weather pattern thanks to the long-lasting “thermo-coating” treatments with which we cover them.